Size of the product: 3" (L) x 18.5" (W). 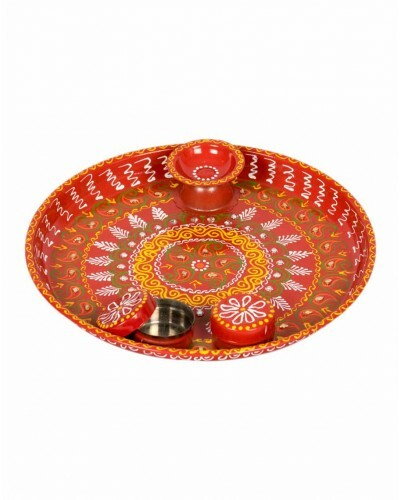 This Pooja dish is made of high quality steel and is decorated artfully using beads. It is surrounded by multi-colored latkans all around the edges. The plate is decorated by oil painting that is done in vibrant colors. Overall, the Pooja plate looks like a great art item that can be used during pooja.